Welcome to the first day of the Holiday DIY Blog Party & Giveaway!! Jenny and I have been working hard preparing and photographing some festive DIYs that are sure to bring you holiday cheer throughout the season!! 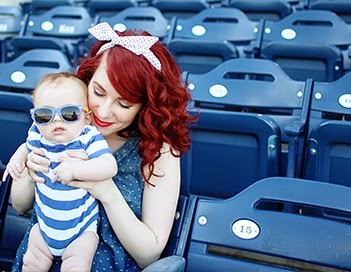 We've got a lot of DIYs planned, plus some great giveaways just for you! The party officially begins today and will run until December 11th on both my blog and Jenny's! Bring on the good cheer! 1. Your choice of fun ribbon! I got mine at Michael's for a great price. 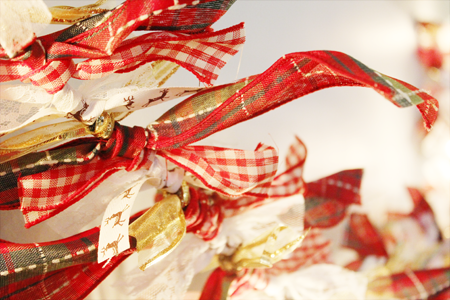 To keep it festive all year round, try using ribbon in colors that compliment your home. 2. A strand of lights. Large bulbs or tiny twinkle lights will do. 1. Cut strips of ribbon 5-6.5 inches in length. 2. Tie ribbon, alternating in colors, around light strand. 3. 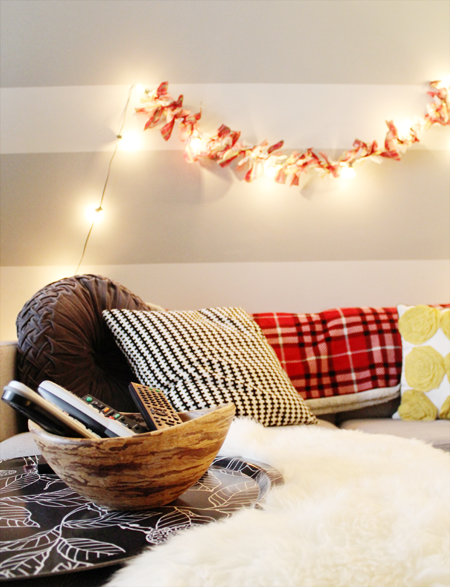 Hang strand in your favorite room or put around your tree for Christmas! Beautiful! 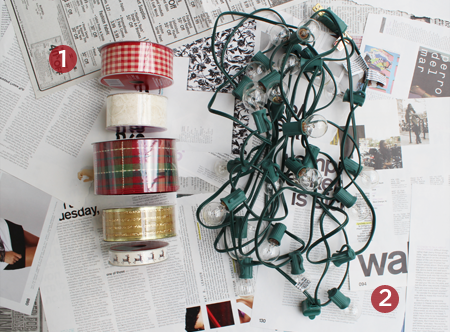 And it's a great way to spruce up the wires during the day when the lights aren't turned on! This is awesome! Cute and clever! Love it! i loove this. with the pillows and blankets it looks so great. this is such a cute idea! i love love love it!!! 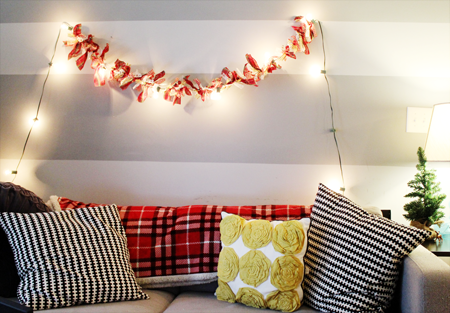 Question -- how do you attach the garland to the wall? I'm renting and am trying to figure out how to do just that. Haha. @Kaitlyn -- I actually just used two push-pins for this DIY, but if you're not allowed to put holes in the wall I would suggest using command sticky hooks. :) You can buy them from Walmart or Target. This is seriously the cutes thing ever! What a great idea and this could really be done for even everyday lights! Thank you for the amazing idea! I tried it and my twinkle lights are looking great hanging in our kitchen window!